Set in the hardscrabble landscape of early 1900s Oklahoma, but timeless in its sensibility, Prairie Fever traces the intense dynamic between the Stewart sisters: the pragmatic Lorena and the chimerical Elise. The two are bound together not only by their isolation on the prairie but also by their deep emotional reliance on each other. That connection supersedes all else until the arrival of Gus McQueen. When Gus arrives in Lone Wolf, Oklahoma, as a first time teacher, his inexperience is challenged by the wit and ingenuity of the Stewart sisters. Then one impulsive decision and a cataclysmic blizzard trap Elise and her horse on the prairie and forever change the balance of everything between the sisters, and with Gus McQueen. With honesty and poetic intensity and the deadpan humor of Paulette Jiles and Charles Portis, Parker reminds us of the consequences of our choices. Expansive and intimate, this novel tells the story of characters tested as much by life on the prairie as they are by their own churning hearts. 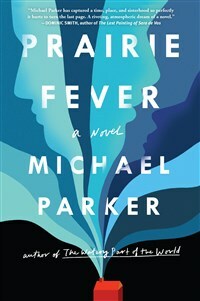 Michael Parker is the author of six novels and three collections of stories. His short fiction and nonfiction have appeared in the Washington Post, the New York Times Magazine, the Oxford American, Runner’s World, Men’s Journal, and other publications. His work has been anthologized in The O. Henry Prize Stories and The Pushcart Prize. He is the Nicholas and Nancy Vacc Distinguished Professor in the MFA Writing Program at the University of North Carolina at Greensboro. He lives in Saxapahaw, North Carolina, and Austin, Texas.